Many people start up a business and need to handle all the wages, taxes, premiums, and deductions that is a time consuming and complicated task. Getting help with the software of payroll for small business is a smart choice. It may come as standalone application whereby small businesses can manage their payroll. Payroll software can calculate tax imposed by the government on employees’ income and other allowances. Payroll processing is one of the most important tasks in any business. It covers payroll administration and payroll accounting. Payroll administration is related to management of payroll details and its compliance with state and local government tax laws. Payroll accounting involves calculation of employees’ salary and the related levies and other deductions. Payroll at times can be a tedious process especially for small businesses with limited resources. The software of payroll for small business is the right way to deal with payroll. A professional payroll service takes care of all your payroll needs but hiring employees to calculate and manage payroll requires more money as compared to investing in software. Small companies have limited resources and therefore using software of payroll for small business is the ideal choice for them. Keeping employee satisfaction high is very important for business success. Delays in pay because of any reason make employees unsatisfied. Payroll software calculates salaries with accuracy that increases employees’ satisfaction. Keeping the record of employees’ time is another challenge for small businesses. They often use time sheets for recording the work time of employees. Manual handling of time sheets are prone to errors and often provide inconsistent results that may affect business reputation. The software of Payroll for small business is the right solution for employees’ time management. It allows to accurately record employees coming in and going out timings that ensures accurate calculation of employees’ salary. As a result, there are fewer chances of errors at the time of pay. Tax related payroll challenges that small business owners’ experience are calculating withholding correct taxes, payment of taxes and timely tax return filings. Mistakes in these calculations may end up paying penalties therefore; using payroll software is a good way to get accurate calculations and prevent penalties. Preparing reports of employees’ payroll manually can take hours that is wasting of the valuable time. Payroll software for small business saves employees time that can be utilized in other productive tasks. There are several accounting packages and software systems available that are easy to learn and use. Lots of companies provide payroll software for small business. Choose a reliable company to get quality software solutions. 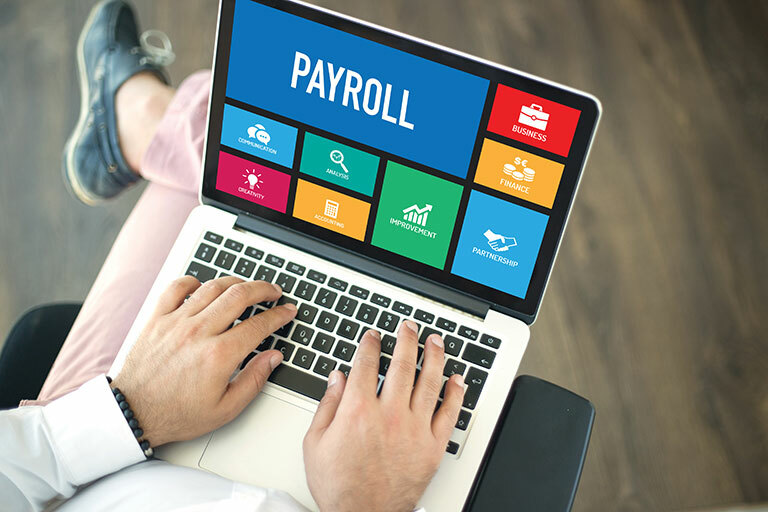 We offer software solutions including payroll for small business that is a perfect solution and provides numerous benefits over manual payroll handling. If you want to get quality software solutions, contact us today.